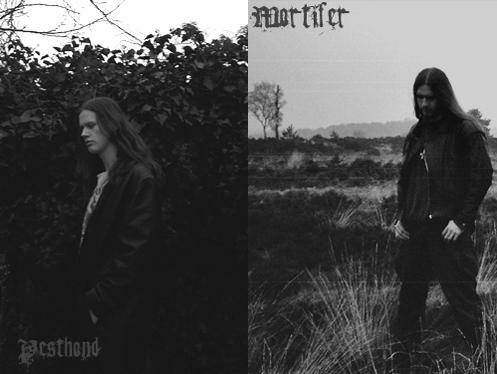 Suicidal Black Metal from the Netherlands. Formed in 2006 by Herr A.I.D.S. and Pesthond, Mortifer joined in February 2007. After two Demo releases and some plans to do a full-length release, Zelfhaat split up in March 2012. "Since the inception of this band the creative minds had a common goal; to express their feelings of selfloathing, depression and suicidal thoughts. But time has been kind to the members of Zelfhaat and for all their own reasons those suicidal feelings have gone. Scars remain and will be affecting us for a long time to come, but none of us can in good conscience perform lyrics celebrating the demise of our own selves or proclaim to hate our essence to the point of selfharm. Therefor, we have decided to end ZELFHAAT and let our one and only band effort "Van Jammerklacht..." stand as our legacy."